A perfect tour. 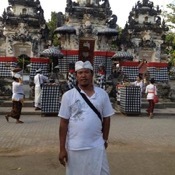 Our guide Putu was knowledgeable and informative. He adjusted easily to our preferences on the tour and made sure that we saw the principal sights within the limited time we had. Definitely to be recommended.